ABC's Shark Tank meets The Terrible Two when a pair of sixth grade entrepreneurs compete to become top mogul on their block. Twelve-year-old Peter Gronkowski prides himself on being a professional businessman. Tired of the clichéd lemonade stands that line his block, he decides to start a better business with the help of an intern. But his intern of choice, the quiet and writerly Rachel Chambers, turns out to be more than he bargained for. Rachel is innovative, resourceful, driven--and when she's had enough of Peter's overbearing management style, she decides to start a competing empire next door. As their rivalry and sabotage tactics become more outrageous--Slander! Espionage! Lemonade threats!--Peter and Rachel ultimately learn the hard way that "nothing gold can stay" and that friendship is more important than money. Alternating perspectives reveal what really motivates each character to win. And Peter's memos and "business tips" as well as excerpts from Rachel's melodramatic novel-in-progress generate fresh hilarity and tension at every page turn. 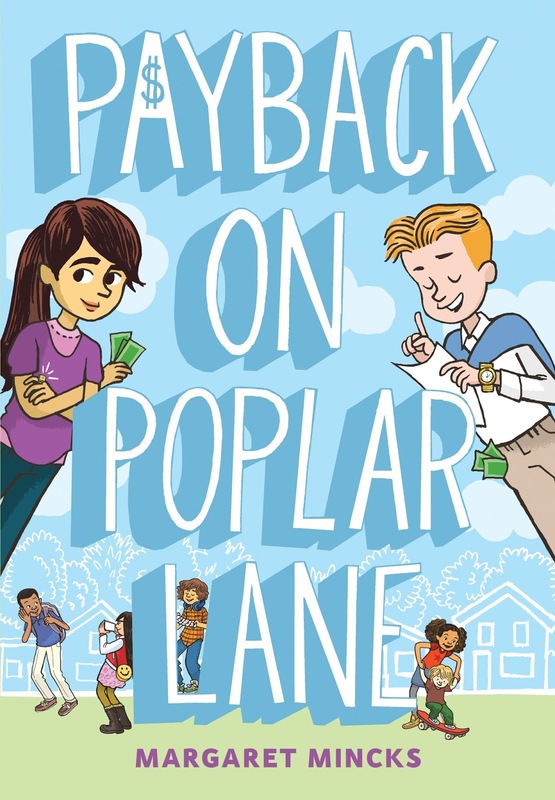 Payback on Poplar Lane is a pitch-perfect comedy with heart, reminiscent of your favorite classic middle-grade series. If you didn't know, I secretly read a lot of Middle Grade. Having a 10 year old who loves to read will do that to you. We read a lot of books together, including this one. The book is set on a culdesac where neighbors Peter and Rachel are about to go head-to-head. Peter is obsessed with being the next great entrpreneur. Rachel wants to break out of her shell, but when your nickname is Puppet (due to an embarrassing incident where she froze onstage and her best friend sang her audition for her), it's easier said than done. When she hears that Peter is looking for an intern to help with his "businesses", she thinks this could be the opportunity she's looking for. Unfortunately, Peter is so business focused that he's not very nice or ethical. After a falling out, Rachel decides to get her voice and her revenge by giving Peter the one thing that will hurt the most: COMPETITION. I thought this book was super fun. 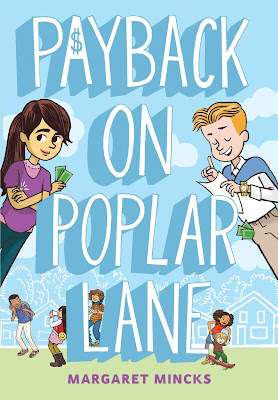 It's a younger Middle Grade-- I'd say for 5-6 graders, but it covers some pretty deep issues. While Peter comes off as a jerk, the pressure he puts on himself because of his dad's recent unemployment was kind of heartbreaking. We as parents don't want our kids to carry our financial burden, but that's exactly what Peter feels he has to do. I also FELT Rachel's journey. How can you not root for the shy girl who wants to be seen?? 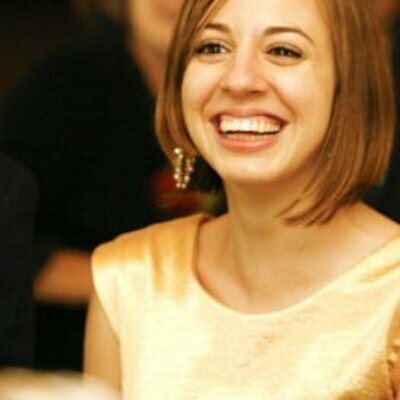 As a shy girl from way back, I wanted Rachel to get her glory. There were a lot of life lessons, friendship lessons, and a overall funniness that permeated through the book. If you can make it through halfway without wanting to punch Peter in the face, I'd say you're in for a good read. OVERALL: I definitely recommend this to boys and girls in 5th or 6th grade. It's co-narrated by 2 kids with unique viewpoints, and has some awesome lessons without being lessony or preachy. Margaret Mincks grew up the second oldest of eight kids. When she wasn't swimming, acting, making up slightly disturbing songs, or filming B-movie parodies with siblings and friends, she was writing and illustrating stories. After graduating from the University of Virginia, she moved to Chicago to perform improvisational comedy with the iO Theater. She later worked at Spider, a literary magazine for six- to nine-year-olds, as an editor. Margaret has also written for children's nonfiction series like Ripley's Believe It or Not. She now lives in Florida with her husband, young daughter, and her Staffordshire bull terrier named Reesie. Awww... this sounds super cute! I love that Rachel has to get over her shyness.